The French midfielder has announced his intention to not sign a new contract at PSG, which means that he will be able to leave this summer as a free agent once his current deal expires. 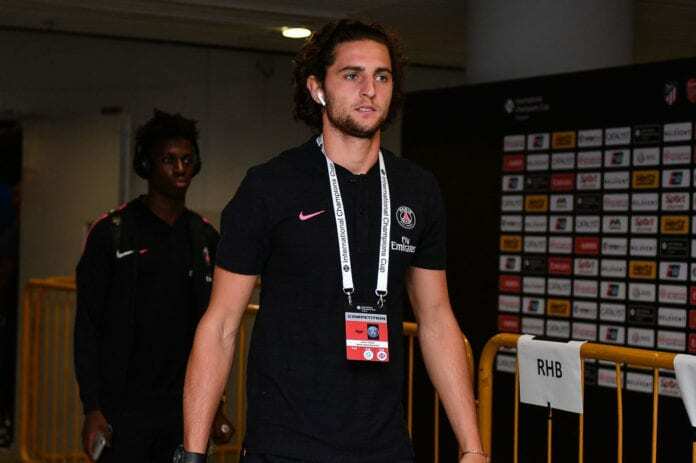 Rabiot’s actions have provoked PSG president Nasser Al-Khelaifi into withdrawing him from the first-team with sporting director Antero Henrique announcing that he will not play again for an “indefinite period”. And Tuchel confirmed in a press conference today that PSG’s tough stance against Rabiot hasn’t changed ahead of Saturday’s Ligue 1 game against Guingamp. “I have to prepare my team for Guingamp and it will be a team without Adrien Rabiot,” said Tuchel, according to FourFourTwo. Barcelona confirmed last month their interest in signing Rabiot and revealed they’ve held talks for the French star. On the other hand, Tuchel has recently been linked with a move for his former Borussia Dortmund star Julian Weigl. “Weigl? 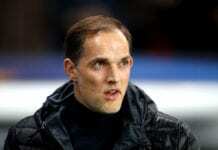 I can’t talk about players who are at another club,” Tuchel added. “Julian was one of my players, but he belongs to Dortmund. We’re working hard to recruit a defensive midfielder. The German added that he will pick his strongest line-up for this weekend’s game, despite Guingamp being in last-place in Ligue 1.